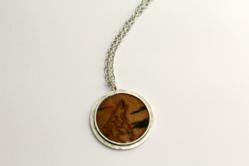 My Pack of Wolves Sanctuary Now Selling Jewelry and Clothing Items as Another Way of Promoting the Rescue. Recent additions such as t- shirts, jewelry, more office items, and prints are now available for purchase. 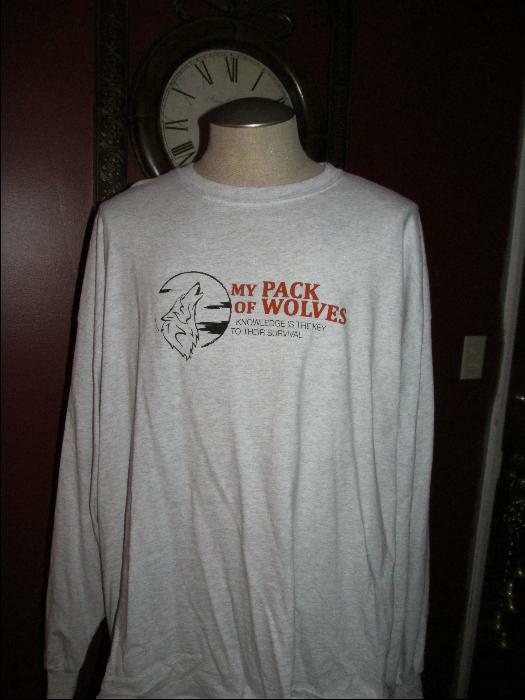 The My Pack of Wolves Sanctuary wants to create awareness with merchandise that direct people to the website. As part of an ongoing marketing campaign, the My Pack of Wolves Sanctuary has added new items to its Pack Store on the website http://mypackofwolvessanctuary.org/the-pack/pack-store. Previously the sanctuary sold promotional items such as pens,magnets, and key chains. 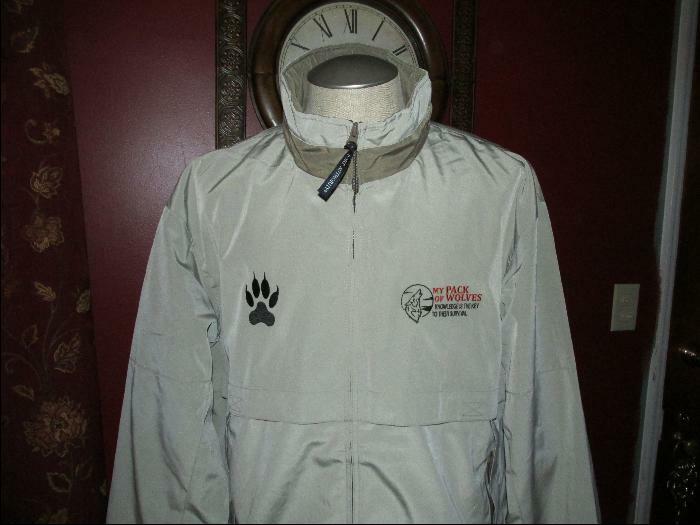 Now the inventory includes jackets, hoodies, hats, jewelry and wolf prints. The prints are select photos of the animals offered as either a 5x7 or an 8x10. 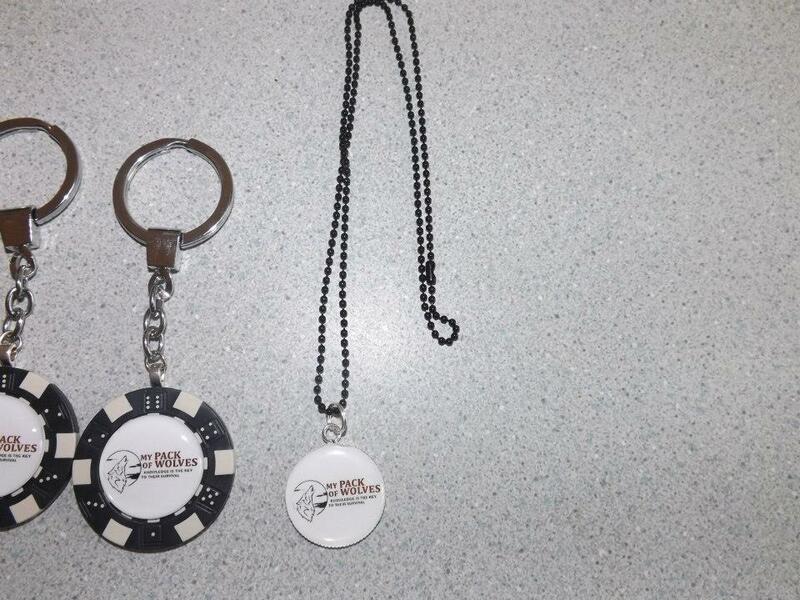 The jewelry includes 2 types of necklaces for sale that bear the logo and a poker chip key chain as well. The sanctuary hopes to get it's message in the spotlight by using this merchandise to create awareness. In the coming months, the sanctuary will be be adding bumper stickers, note cards, tote bags, greeting cards, and Christmas ornaments to its store. Everything purchased is tax exempt since the sanctuary is a IRS qualified 501 (3)(c) organization. Every purchase will include a receipt including the tax exempt information for record keeping purposes along with the item purchased. All monies either donated or used for purchase will go towards the mission of the sanctuary, which is to save and preserve the captive wolf and the wolfdog and to provide a stable and safe environment for these animals. 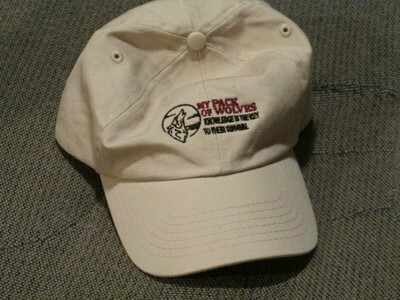 http://mypackofwolvessanctuary.org/the-pack/pack-store also has a link to Ebay where the Sanctuary has an Ebay store. The Ebay store is designed as a virtual garage sale with others contributing small items for sale such as books or DVDs with the sanctuary in mind. Everyone with something to sell for the rescue as a donation contact the organization via Facebook or Twitter. While monetary contributions are important, kind donations such as dog food and raw materials for enclosures are just as vital. Please see the wish list under the Donate tab on the website. The Wish List includes anything from donating an old vehicle for transport to vets, to meat products, water tanks, and even blankets for the animals.Even donating just a water hose would help to ensure they are always kept hydrated. Wood materials such as lumber or 2x4's are just as important to build them platforms and doghouses. Please follow the sanctuary on FB as My Pack of Wolves Sanctuary and on Twitter as @mypackofwolves.